Jay Somers began as a master brewer at McMenamins pub, apprenticed with John Paul at Cameron Winery, and then launched his own label, J. Christopher Wines, specializing in Pinot Noir, Sauvignon Blanc and Chardonnay. He has formed a partnership with Dr. Ernst Loosen of Dr. Loosen and J.L. Wolf in Germany called Appassionata. 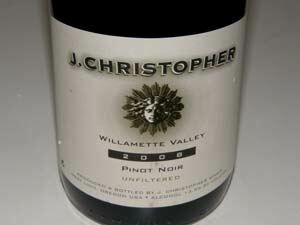 Ernst began producing Pinot Noir at his J. L. Wolf Estate in 1996, the same year Somers launched his own winery in Oregon. 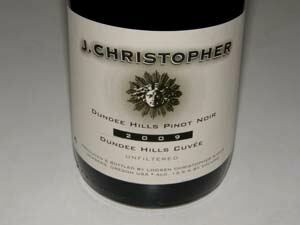 The collaboration is aimed at producing Pinot Noirs that combine the best ideas of the Old and New Worlds. Appassionata is a limited production Pinot Noir from Oregon's Willamette Valley, first released with the 2006 vintage (Appassionata was produced in 2005, but not released) sourced from Dundee Hills vinehyards. Eventually, the goal is to use primarily estate grown fruit for Appassionata. In early 2010, Loosen and Somers began construction on a new J. Christopher Winery on Chehalem Mountain in Newberg, Oregon. The first block of Appassionata Vineyard was planted in the spring of 2010 and the first harvest from the site was 2014 (50 cases of Pinot Noir). Somers has long term contracts in the Dundee Hills, Chehalem Mountains and Eola-Amity Hills. He produces both single-vineyard and appellation-designated wines. Total annual production is 10,000 cases, of which 45% is estate grown. The wines are sold through retail channels (see website).